REFUND POLICY: Unless otherwise stated in the event information, there are no refunds for registrations. You may substitute but not reduce the number of registrations once you have submitted your registration form. Refunds are not given if you fail to attend an event to which you have pre-registered. If you were to be invoiced for the event and did not attend, you are still responsible for the entire registration fee. If you have any questions on refunds for an event, please contact bae@bomahawaii.com. 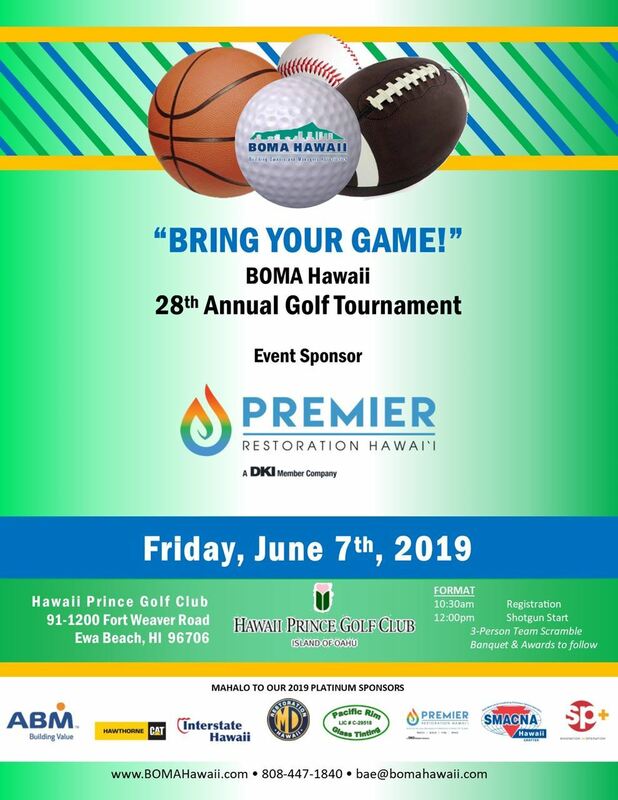 BOMA Hawaii is a 501(C)(6) non-profit organization under the Internal Revenue Code.